Seven general FE colleges and four sixth form colleges (SFCs) will be involved in a post-16 education and training area review for West Yorkshire announced by the government this morning. It is set to launch on November 16 and West Yorkshire will be the seventh and final English region involved in the first wave of such area reviews, a Department for Business, Innovation and Skills spokesperson said. It comes after the government announced that 43 general FE colleges and 29 SFCs would be included in reviews for the Tees Valley, Sussex Coast, Solent, Birmingham and Solihull, Greater Manchester, and Sheffield city areas. Skills Minister Nick Boles said this morning: “We are developing an FE system which creates a productive, innovative and competitive workforce for the 21st century. 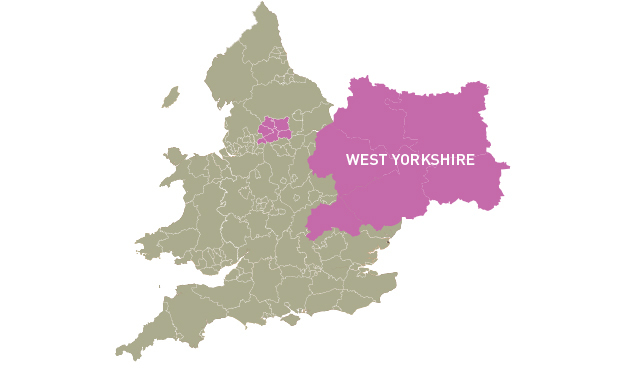 The chair for the West Yorkshire steering group, which will hold its first meeting on Monday November 16, has yet to be announced. Just like the six area reviews previously announced, West Yorkshire’s will not directly involve any school sixth forms or independent learning providers. It comes as FE Week has revealed today that London Mayor Boris Johnson will play a leading role in the London area review, details of which are yet to be announced. There was previous criticism from sector leaders last month over the reviews not directly including school and academy post-16 providers. There was further criticism, reported in FE Week on October 2, that the steering groups for the area reviews already announced were “unwieldy”, with numbers per group potentially swelling to 45. The reviews will then focus on the current structure of FE and SFCs, although a BIS spokesperson has previously told FE Week that “there will be opportunities for other institutions (including schools and independent providers) to opt in to this stage of the analysis”. The first group of area reviews to be announced, as reported in FE Week on September 8, covered 22 FE colleges and 16 SFCs in Birmingham and Solihull, Greater Manchester, and Sheffield. More reviews, involving 21 FE colleges and 13 SFCs, were announced on September 25 for the Tees Valley, Sussex Coast and Solent regions. The colleges involved in the latest review are yet to comment. This will no doubt be an opportunity to restructure the FE provision ultimately driving down wages and terms and conditions for academic/teaching staff and other support staff. What will be left may well be employer led organisations. I am not sure how a stable educational system can be run when we have experienced certain companies cancelling programmed courses due to hard times – point in question TATA Steel for instance. I see this as a further attack on the fabric of public sector organisation not least the educational well being of the nations adults and young people alike.